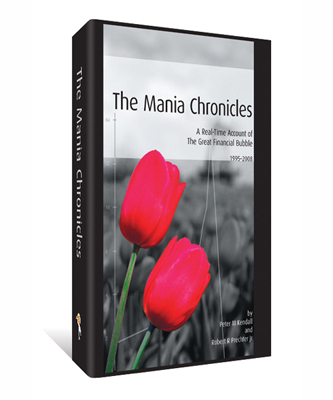 With 700 pages and a large, 8-1/2 x 11-inch format, The Mania Chronicles is only a “book” in name. In fact, it’s an encyclopedic reference that covers every twist and turn of the rise and (initial) fall of the historic financial bubble – all observed and anticipated in real time via monthly analysis from the renowned technical analysts at Elliott Wave International. To inquire about discounts and bulk orders, use our contact form here.